This experience will provide an amazing opportunity for children to learn hands on, opening the natural world to campers that may never be outside. The natural surroundings will get children back to nature, spending time unstructured and outside. What A Difference this will impact on their lives! The facilitator / trainer will brief on program schedules and rules and regulations. Distribution of rations, Tents etc…. How much you need to pay ? Prices starts from RM 100.00 per child depending on venues and duration. Malaysia Adventure has the potential to offer your child many positive and rewarding experiences. It is healthy, educational, outdoor experiences and FUN! Our programs provide an opportunity for your children to develop their creativity, teamwork and interpersonal skills while inculcating a stronger sense of responsibility and independence. Our camp's experience can have a significant impact on your child's life. Our summer camp lays the foundation for your children to be more and achieve more than they ever thought possible. Using innovative quantum learning methods, our academic camps provide students with concrete study strategies while instilling them with the confidence and motivation they need to succeed. Our summer camp is an action-packed learning experience of non-stop work and play, learning and growing, classes and outdoor challenges. At the end of each day, they feel a genuine sense of accomplishment. As with all of our summer camp / holiday camps, our camps provide a unique blend of learning skills and life skills, which help students on the academic side and also in their personal lives - with relationships, character development, leadership skills, interpersonal skills, confidence, self-esteem and motivation. Rafting expeditions in a tropical climate are simply great. No need of thermal wetsuits as the water is lukewarm. 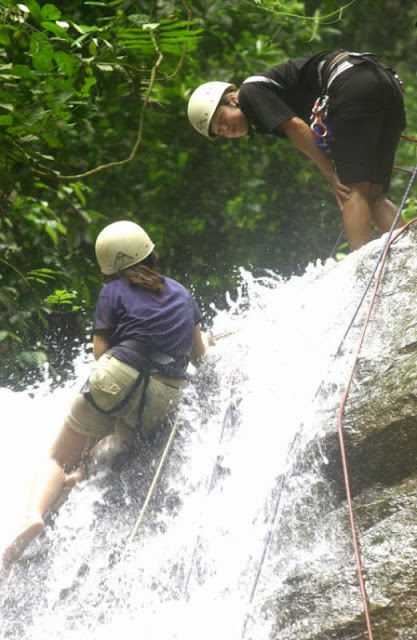 Lush tropical jungle, wild rivers, bamboo campsites, Malaysian smiles and gourmet food, as well as the likelihood of spotting wild animals, should make the trip of a lifetime. On every river expedition, we use strong hypalon self-bailing rafts and canoes. Adequate equipment such as life jackets and helmets are provided. Rompin Park HQ transfer to Kampong Selai. schedules and rules and regulations. Note : We will do impromptu inspection every few hours to checkv that fires maintained well and the participants' safety assured. Therapeutic recreation is the provision of Treatment Services and the provision of Recreation Services to persons with illnesses or disabling conditions. The primary purposes of Treatment Services which are often referred to as Recreational Therapy, are to restore, remediate or rehabilitate in order to improve functioning and independence as well as reduce or eliminate the effects of illness or disability. The primary purposes of Recreational Services are to provide recreation resources and opportunities in order to improve health and well-being. Therapeutic recreation uses treatment, education and recreation services to help people with illnesses, disabilities and other conditions to develop and use their leisure in ways that enhance their health, functional abilities, independence and quality of life.